Analysis is the breaking down of a problem into smaller easier to solve problems. A popular powerful type of analysis is a SWOT Analysis. 1 This breaks a project down into its four strategic planning areas: Strengths, Weaknesses, Opportunities, and Threats. Each of these is a smaller, much easier problem to solve. The difficulty of solving a problem can be reduced by an order of magnitude or more by breaking it down into smaller appropriately selected subproblems, each of which is easier to solve. This is the ancient adage of "divide and conquer" at work. The challenge is finding the right problem decomposition. The wrong one provides the comfortable illusion that you're making progress and will solve the problem. The right one will make that expectation come true. 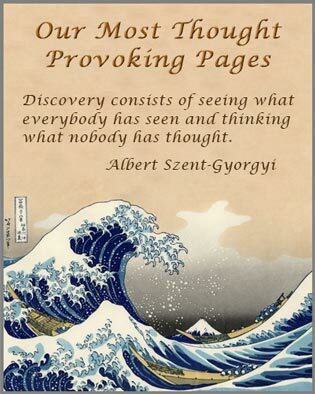 If you're having difficulty solving a problem, it's probably because the wrong analysis is being used. If you're repeatedly having trouble solving a class of problems, it's probalby because you're using the wrong problem solving process. Only one of the steps of a good overall process is analysis. 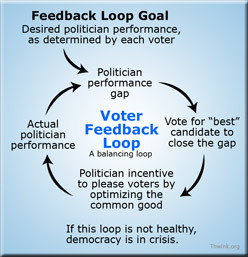 One of the most important problems ever solved yielded to a simple but novel type of analysis. Why do epidemics occur? What causes disease to spread? Before the germ theory of disease there was no good answer. John Snow, a 17th century English physician, was a skeptic. He didn't believe in miasma theory, which held that diseases like cholera and the Black Death were due to a poisonous vapor or mist filled with particles of decomposed matter that caused illness. Instead he theorized the cause was something more tangible that could be fixed. By charting the incidence of the disease, he showed that over 500 cases occurred within 10 days over a radius of some 250 yards centered on London's Broad Street. He looked for some poison which he believed came from the excreta of cholera patients and was swallowed by the new victims. A common factor was their use of water from the Broad Street pump that had been polluted with sewage. Snow had traced the pipelines of various water companies and showed that one was infected by cholera. By the methodical process of elimination, he proved his point: A workhouse in that area had its own private well, and there were only 5 deaths among its 535 inmates. A brewery on Broad Street likewise never used the water from the Broad Street pump, and it had no cases among its 70 workers. The solution was to remove the handle at the Broad Street pump, which elimiated the continuence of the epidemic. Removing the pump handle was one of the most famous experiments in all of science. The deaths stopped. They were already lessening, but once people could no longer drink from the contaminated source, they could no longer catch cholera. 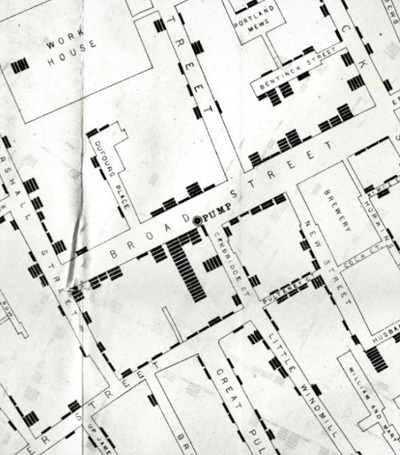 John Snow's later study of the London cholera epidemic and his analysis became the founding event for the new field of epidemiology. A good analysis uses a formal, well refined process to drive the analysis. A poor analysis does just the opposite: It uses an informal, intuitive process. The former is required for difficult problems. The latter works fine on everyday problems, which is the perfect setup for the Intuitive Process Trap. But to solve the London cholera epidemic problem, John Snow had to use a "methodical process of elimination." The point is that the sustainability problem is so horrendously difficult it requires deep formal analysis to find its root causes and how to resolve them. 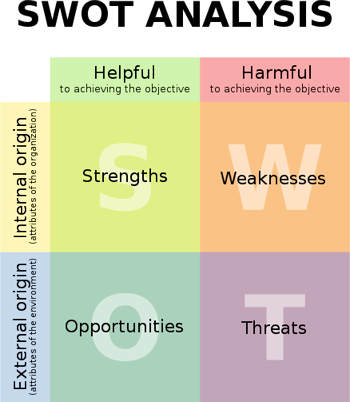 (1) SWOT Analysis image from Wikipedia. (2) Quote from Broad Street Solutions. If you've used SWOT or a similar process before, you will be comfortable with SIP.